For even a small company, implementing and maintaining a Salesforce instance will require the help of certified professionals. 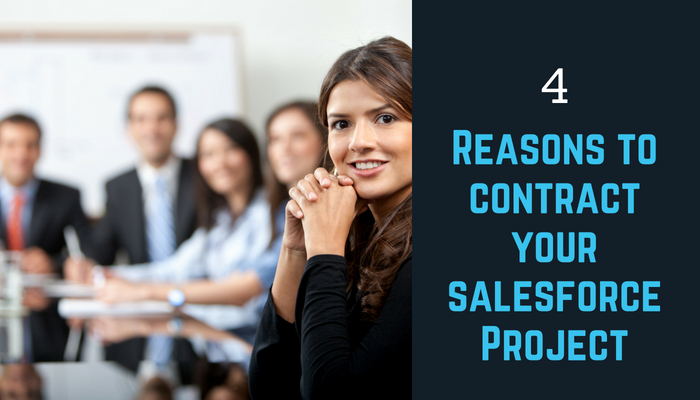 With an increased demand for Salesforce professionals and the wide range of technical knowledge needed for many projects, consider these reasons to contract your Salesforce work. 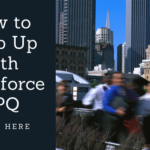 The hourly rate of a Salesforce consultant may seem high when compared to a FTE, but after healthcare, paid vacation, sick pay, and 401k match – it is likely you will realize a substantial cost savings contracting at an hourly rate instead. Many consultants will provide their own resources, including software licenses, cell phones and laptops – substantially reducing the cost and time of an on-boarding. A Salesforce contractor will also provide for their own educational development, including maintaining certifications. During tax season employers also can avoid the headaches since they do not have to worry about employee withholdings. In most cases consultants can take a simple 1099. The scope and demands of your project can change drastically in a matter of days, requiring an increase in resources or a specialized, high demand skill set. Working with contracted professionals allows you to quickly scale up or down when needed. 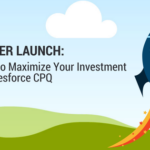 Salesforce consultants usually have certain areas of specialization such as APEX development, creating responsive lightning applications, or implementing and maintaining a CPQ implementation – just to name a few. Most staffing firms have a network they can quickly call on when needed. After a project is completed, scaling down is as simple as deciding to do so, without the hassle of dealing with typical off-boarding processes. Contractors are used to working whatever hours are needed to get the job done. They often work with significant time constraints and have a history of delivering successful projects under pressure. A full-time employee may have a few opportunities to prove themselves but a contractor knows they can easily be replaced if they do not perform. Salesforce is a powerful tool. However, like any tool, its effectiveness starts and ends with the craftsman using it. Contracting a Salesforce professional can ensure the best craftsman for the job. Visit us at www.pinkuspartners.com to hire experienced and certified Salesforce professionals. Whether you are just beginning a Salesforce initiative or need year-round support, we can help during any stage of the process.